Linkedin is the 21st century resume. As such, part of supporting college and career readiness includes having an updated online image. It is important for educators to have a strong Linkedin profile not only as a model for their students, but also for families who want to find out a little more about their child’s teacher. Bonus points if your school website lists links to teacher profiles. Just like with paper, you want your online professional profile to stand out and accurately represent your image. Here are a few ideas to get you started. This is your opportunity to connect. Be fun. Be playful. Be professional. Draw readers in so they want to learn more. Don’t just post your title. Share a little more. Here’s what my title says. Have you published something? Awesome! Linkedin gives you a way to share that. Think wide. This doesn’t have to be with a book publisher or magazine. Maybe it is your class newsletter or your class constitution. Knowing the power of your network is easier with the Linkedin Maps. 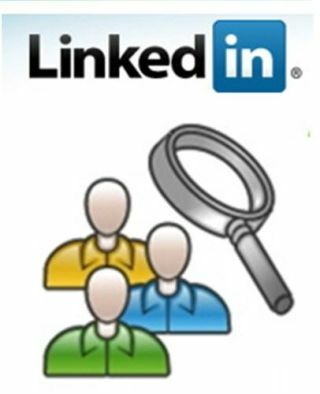 To get started, just go to http://inmaps.Linkedinlabs.com, log in with your Linkedin credentials, and follow the steps. With your InMap, you can visually understand how to better leverage your professional network to help pass along job opportunities, seek professional advice, or gather insights. So, what do you think? Do you have some more ideas about how innovative educators can spice up their Linkedin profile? Are there some ideas here you find helpful? If so what are they and how do you envision using them? Lisa Nielsen writes for and speaks to audiences across the globe about learning innovatively and is frequently covered by local and national media for her views on “Passion (not data) Driven Learning,” "Thinking Outside the Ban" to harness the power of technology for learning, and using the power of social media to provide a voice to educators and students. Ms. Nielsen has worked for more than a decade in various capacities to support learning in real and innovative ways that will prepare students for success. In addition to her award-winning blog, The Innovative Educator, Ms. Nielsen’s writing is featured in places such as Huffington Post, Tech & Learning, ISTE Connects, ASCD Wholechild, MindShift, Leading & Learning, The Unplugged Mom, and is the author the book Teaching Generation Text.Disclaimer: The information shared here is strictly that of the author and does not reflect the opinions or endorsement of her employer.